TOMORROW FROM 1-4 PM, REQUEST THE 'EMBARK' OPTION ON YOUR UBER APP FOR THE CHANCE TO WIN A $2,000 SHOPPING SPREE! 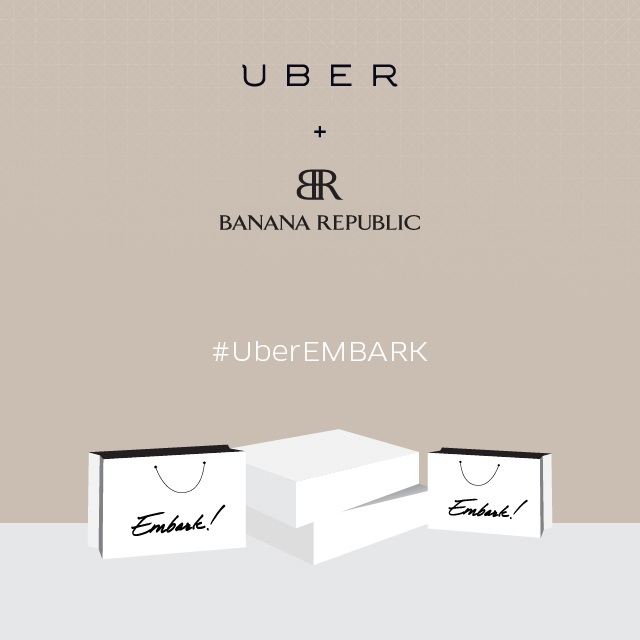 Uber has partnered with Banana Republic to celebrate the launch of their a new BR program called Embark. To kick it off, Banana Republic is going to reward 20 lucky Seattle Uber users with a $2,000 shopping spree! If you are one of the first 5 people to request at the top of each hour, you will be picked up in style and brought to the Banana Republic Coliseum store in Downtown Seattle for a $2,000 shopping spree! Make sure to have the app open and be ready to request as there are only 5 lucky winners per hour and you will definitely have some competition to score this ultimate retail therapy! Click here for more info on this promo or links to download the Uber app on your iPhone or Anroid device.